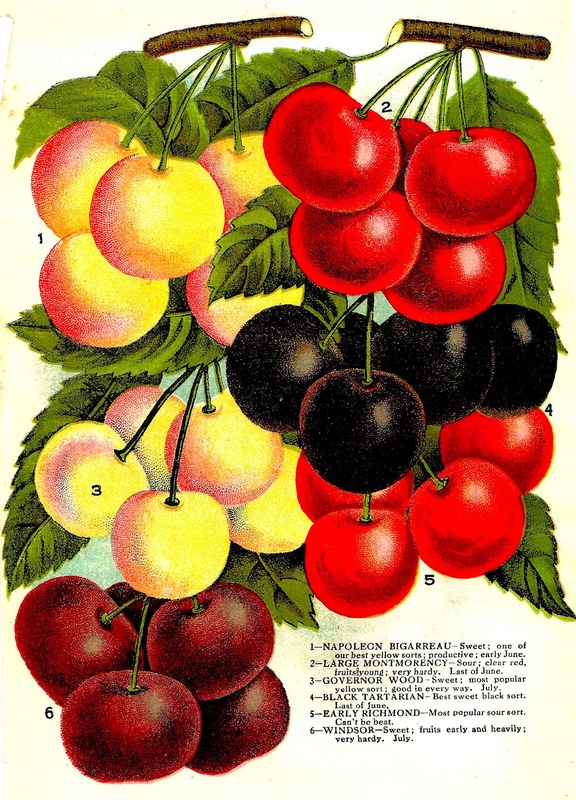 This is a lovely fruit illustration of six varieties of cherries from a vintage, 1870's seed catalog. I've left the numbers and descriptions because I think it adds so much interest. I love using these images to decorate gift tags. The vintage charm is so cute. I hope you enjoy!